We have been running a year long community energy saving project in the Greenmoor area thanks to funding from the Northern Powergrid Community Energy Seed Fund at the Community Foundation Tyne & Wear and Northumberland. 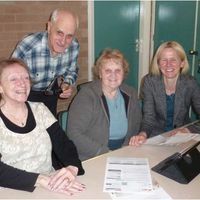 The basis to the project was to reach a diverse range of vulnerable residents by working with the numerous community groups who are already running activities and working in the Greenmoor area. The organisations included Lidget Green Walking Club, two Children's Centres, Scholemoor Beacon, the Anand Milan Centre and St Wilfrid's Church. Although they were the most resource intense element of the project, the home energy visits had the highest impact, saving a total of £10,296 by actions such as switching energy supplier, clearing energy debts, applying for grants to help with energy costs, and draught proofing. Raising awareness of the Warm Home Discount was another key element of the project.